Brazilian satellite operator Star One signed in June 2003 a contract with Alcatel for the construction and the in-orbit delivery of the telecommunications satellite Star One C1 for Latin America. Based on Alcatel Space Spacebus-3000B3 platform, Star One C1 was launched late 2007 by an Ariane-5ECA and is positioned at 65° West. The satellite carries 45 transponders: 28 C-band, 16 Ku-band, and 1 X-band. Star One C1 replaces the Brasilsat B2 satellite in the C band and provides South America with high speed Internet and multimedia capacity. 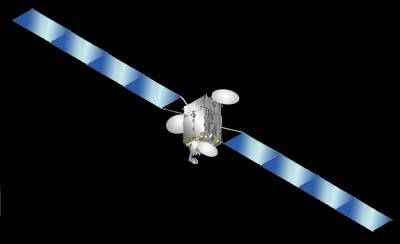 In January 2005 Alcatel signed a contract with Star One, the satellite division of telecommunications company Embratel, which covers the construction of the Star One C2 satellite. The satellite also carries 45 transponders: 28 C-band, 16 Ku-band, and 1 X-band. The satellite, to be located at 65 degrees west, provides coverage for South America, Mexico, and Florida for television and telephony transmissions. Alcatel said the contract was valued at $150 million.